Do you know what to do if you can smell gas? A gas leak at home can be frightening and have grave consequences if you don’t deal with it quickly. It’s important to know what to do in the event of a leak. If you can smell gas, call the National Gas Emergency Service on 0800 111 999. You may want to save this number in your phone as ‘Gas Emergency’ or something similar. What kinds of gas might affect me? 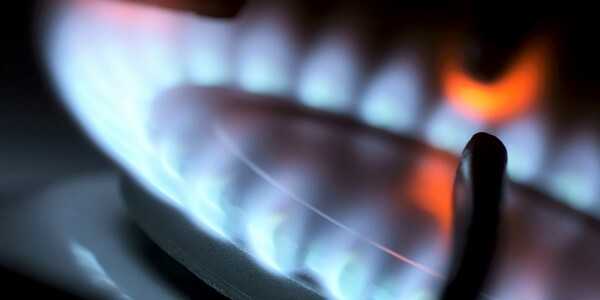 There are two common kinds of gas that are likely to affect you and your home: everyday ‘natural gas’ (used in cookers, plumbing and so on), and carbon monoxide. If you’ve got a natural gas leak, your first line of defence is your nose. Natural gas is actually odourless, but an additive called mercaptan gives it a sulphuric, rotten egg smell that’s designed especially to warn you about its presence. Carbon monoxide is a byproduct of improperly-burned fuel, including gas, coal, wood and oil. It’s very poisonous and can kill. Worse still, it’s completely odourless, tasteless and invisible. It can sometimes be emitted by a faulty home appliance, like a fireplace or stove, or a blocked chimney or flue. The only way to detect carbon monoxide is with a monitor, placed somewhere near the appliance. It will automatically chime in case of elevated levels, and should be tested regularly – perhaps while testing your smoke detector. It’s a reasonable question. If your home doesn’t have gas, and you can smell it, you know it’s coming from elsewhere. If it’s strong enough to reach your home, it’s likely to be a significant leak. Get out as soon as you can. The smell will be strongest close to the source, and this may help pinpoint where it’s coming from. A leak in the kitchen, for instance, may simply be coming from an incorrectly-turned off gas ring on the hob. If the smell is coming from a cellar or basement, get out immediately. These are often unventilated spaces, and it’s likely that the leak is coming from somewhere like a broken pipe. A build-up of unburnt gas can ignite with devastating consequences. If you can smell gas, do not light a cigarette, strike a match or flick any electrical switches. Open doors and windows to help gas dissipate. This not only removes the smell, but also reduces the risk of any accidental ignitions. Locate the gas meter and turn off the gas here if possible. It’s likely a physical valve needs rotating like a tap. On some older homes, this may have become stuck with time (especially if it’s outside), so don’t try to force it – a broken or snapped valve can have dangerous consequences. The National Gas Emergency Service exists to help people dealing with gas leaks. This service is provided free of charge by the National Grid. Ring the emergency number and an expert will be on the way. They should arrive within an hour, and will work to make the source of the leak safe. If the source of the leak is a faulty boiler or appliance, this may be condemned and permanently disconnected. Do not attempt to reconnect it. Any subsequent repair or replacement work will need to be conducted by a Gas Safe registered engineer. The Gas Safe register is the new name for CORGI. In the case of a serious leak, or a leak in a cellar or basement, you should get out and stay out. You should also warn your neighbours and encourage them to evacuate too, especially if you live in a flat, maisonette, terrace or semi-detached home, as their property may also be affected. Once evacuated, nobody should be allowed back inside before the leak has been brought under control. Try to ensure that pets can’t get back inside (through a cat flap, for instance) while the leak is still ongoing. Am I insured if I have a gas leak? An Admiral Buildings Insurance policy will cover you in the event of a gas explosion that causes structural or other physical damage to your home. In such instances, any possessions damaged by the explosion would be claimable against your Contents Insurance. If your insurance includes Home Emergency Cover (standard on Admiral Platinum policies, optional on Admiral and Admiral Gold policies), the cost of repairing your boiler and internal gas piping are covered (with some restrictions). I’m a landlord. Is my rental property insured against gas leaks? Yes, an Admiral Landlord Insurance policy provides the same cover against explosions as a standard home insurance policy. Home emergency assistance is an optional extra on Admiral Landlord Insurance policies. This covers the cost of 24-hour emergency call-outs in the event of a gas supply or boiler failure. A guide to boiler emergency cover. What are your contents worth?